If you’re looking for a new family vehicle, there’s nothing that beats a good minivan for space, comfort, and family-ready versatility. The 2019 Honda Odyssey has something for everyone, from superb safety equipment to enticing entertainment features. If you’re having troubling picking out the Odyssey that’s best for your family, you can start right here with a quick pricing guide! The 2019 Honda Odyssey starts with the entry-level Odyssey LX. This trim starts at $30,090*, and comes with lots of great standard features. You’ll find standard power front seats to help you get comfortable, as well as the One-Motion 60/40 Split 3rd-Row Magic Seat to make it easy to expand your cargo space. The standard automatic climate control system helps keep everyone comfortable, while the USB Audio Interface lets you take your family’s favorite music and podcasts on the road with you. There’s also a multi-angle rearview camera to help you reverse and park with ease! The 2019 Honda Odyssey EX starts at $34,060* and takes the technology up a notch. This trim comes with standard Honda Sensing, which gives you a whole host of advanced safety and driver-assist technology. You’ll also find Honda’s Magic Slide Second-Row Seats, which can be moved from outboard positions to the center of the vehicle to make it easier to access the third row or put a child seat within easy reach of the front seats. The EX also comes with Apple CarPlay and Android Auto integration for easy smartphone compatibility. There’s even more security and peace of mind provided by standard Smart Entry with Walk-Away Lock and the Blind Spot Information System. If you’re looking for a classy leather interior in your family vehicle, the 2019 Honda Odyssey EX-L starts at $37,610*! This trim comes with not only sophisticated leather seating, but also offers lots of other great cabin features. You’ll find standard Two-Position Memory for the driver’s seat, and a standard One-Touch Power Moonroof with Tilt Feature so that you can let some extra light and fresh air inside. You can also add packages to the EX-L, with available CabinTalk In-Car PA System, Navigation, and Rear Entertainment System. The 2019 Honda Odyssey Touring starts at $44,660* and includes those great infotainment and technology packages as standard equipment. The CabinWatch and Rear Entertainment System features are standard, as well as Mobile Hotspot Capability so that you can connect to the internet right from your vehicle. The Honda Satellite-Linked Navigation System also comes standard to get you where you’re going and home again. There’s also a standard Hands-Free Access Power Tailgate, as well as front and rear parking sensors, LED Headlights, LED Fog Lights, and the HondaVAC built-in vacuum. For a top-of-the-line luxurious minivan, be sure to check out the 2019 Honda Odyssey Elite. This trim starts at $46,970* and includes all kinds of awesome luxury features. It comes with heated and ventilated front seats to keep you comfortable in any weather. There’s also a wireless phone charger in the center console, so you can keep your phone charged up and out of the way. With an 11-speaker premium audio system and multi-zone audio, everyone will get to enjoy the music from all three rows. It also comes with upgraded 19-inch alloy wheels and rain-sensing windshield wipers, as well as cool blue ambient LED lighting. 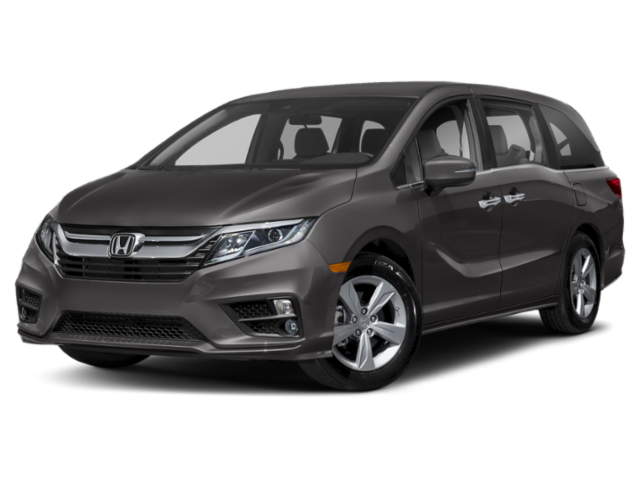 If you want to know more about the 2019 Honda Odyssey configurations, come visit us here in St. Paul, MN! Our expert sales team is super friendly and helpful, and they can answer all of your questions and help you pick out the best minivan for your family. Plus, if you find your new Honda here with us, you’ll be eligible to get the perks of our great Buerkle Rewards program. You’ll get benefits like two free oil changes, two free tire rotations, 5% back on parts and services, and more! We’re located near Minneapolis, Maplewood, and White Bear Lake, so stop by and see us soon!